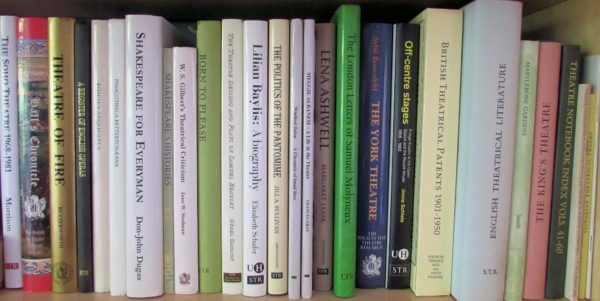 For New Members only: the Society is offering any five books in the catalogue* for only £25, inclusive of p&p. *The offer excludes back issues of Theatre Notebook;The Holdens; and The Theatric Tourist. To claim this offer, download the Order Form here, fill it out* and email it to treasurer@str.org.uk with your choice of titles. You can pay here via PayPal/credit card or direct bank transfer (BACS) by clicking on the Add To Basket button. Alternatively, post the form to The Treasurer, STR, c/o Theatres Trust, 22 Charing Cross Road, London WC2H 0QL with a cheque payable to The Society for Theatre Research. *Move down the boxes using the tab key. Fields appear as black boxes – just type into them.